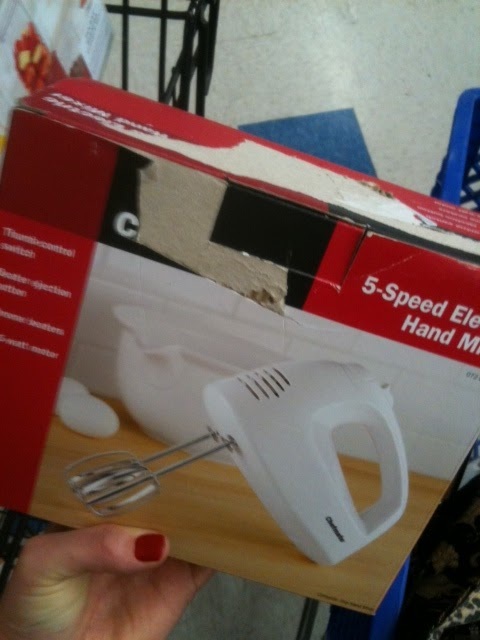 I have been looking everywhere for a mixer for baking. I had found one that was in great condition at a Goodwill. It was in the original box and I was surprised that someone had gotten rid of it. I asked a staff member if it was used and he proceeded to break down all of the price tag terms. (Stupid me for asking, ignorance is bliss right?) If an item there has COD on the tag, it is new and most likely came from the Target across the street. 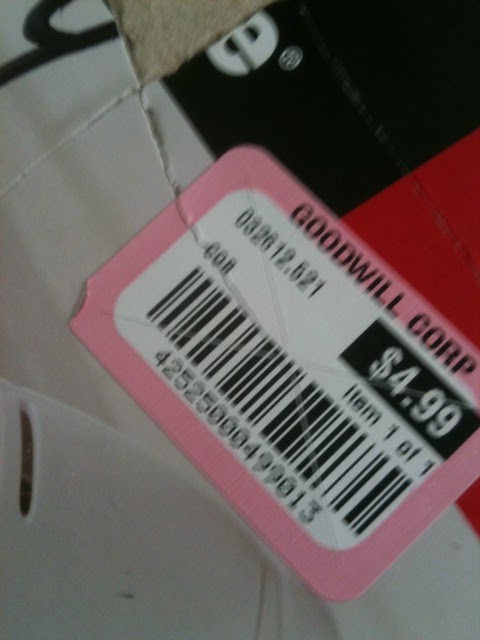 Most COD items are donated if the packaging is torn, broken or if an item was returned and could not be resold in their store. So this meant I wasn't able to buy the nice, new mixer in the ugly box. My search continued until recently. 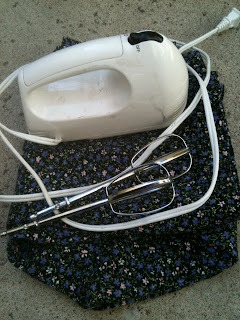 I stopped at a yard sale this past weekend and scored some things I had been looking for, one of them being a mixer! It is in good condition but dusty. I was able to test it out before buying it and it works like a champ! 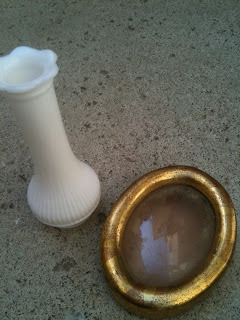 I also found some other great items and couldn't help but grab them. While looking through everything, I was given a box to hold on to all of it! By the time I had looked thru everything, I had almost ten items. I asked the owner how much it all added up to and realized she clearly was not a bargainer because she offered everything to me for $5.00! I'm sure most people would consider some of the stuff I picked up as junk but everything was in good condition, items I either collect or wanted for my kitchen and definitely worth more than $0.50 each..so my stupid response was "$5.00?! No way!!! I'll give you $10.00." Who does that? I negotiated up. So I ended up paying $10.00 for everything that could've been half the price. Oh well, I would have felt really bad if I had taken her up on the offer and what's $5.00 more right? Right.